Eurogenes Blog: How relevant is Arslantepe to the PIE homeland debate? "Actually, I think it's likely that the good people from Max Planck will try to weave these results into their southern PIE homeland theory." You mean they might try and double down on their genetic/PIE from MENA regional position instead of the Steppe. Would you be surprised? But, from I've read, recent reasearch is looking at Maykop and Kura Araxes kurgans as a separate tradition than the one found in the Pontic Steppe, with some common influences. On point is seen as a major difference is the fact that, like in Arslanstepe, the tradition found South of Caucasus is of collective burials (possibly including servants), but in the Steppe, the norm is individual burial. 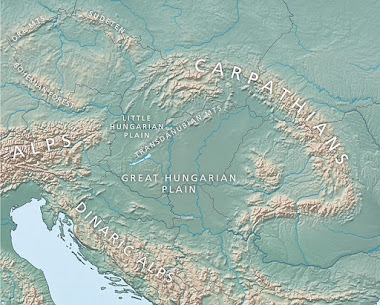 The cultural signification behind the kurgan could therefore be different, with no direct relation between the 2 tradition (as the symbolism connected to kurgans could be different). Another point, about "palaeogenetic and Anthropological Perspectives on late Chalcolithic and Early Bronze Age Arslantepe" is they have studied samples from Chalcolithic to EBA. But EBA for Anatolia is meaning no later than around 1900BC. 200 or 300 years before the Old Kingdom. Clearly, they are still defending a wide diffusion of IE languages in Anatolia before 2000BC. No link with IE is made. But another point is interesting: a difference should be made between the population of Arslan Tepe, and the population of pastoralists inhabiting the plain. Even if there is no links with IE, could be an explanation on what happened at Kanesh: IE migrants who settled as nomad pastoralist in the plain, economically integrated with the city, and eventually they took power. Could it be that the Proto-Hittites were settled in the Shirvan Steppe and Mugan Plain, adopting Kura-Araxes Culture like Central Europeans adopted the Bell Beaker Culture without any significant Linguistic change and from there spread Westwards into Anatolia....? from the Late Chalcolithic period to the Early Bronze Age of Arslantepe. This is Kura-Araxes culture. Kura-Araxes culture is not (P)IE. Kurgans are not proof of language. whether in Anatolia or in the steppe. "Kurgans are not proof of language. whether in Anatolia or in the steppe"
Off topic: Interesting new paper from Svante Paabo et al - https://www.biorxiv.org/content/biorxiv/early/2018/07/04/362566.full.pdf - "The limits of long-term selection against Neandertal introgression"
- Basal Eurasians had similar Neanderthal ancestry to other Eurasians, their estimate 2.5% (1/40 ancestors). - Finding of a recent decline of Neanderthal ancestry in West Eurasians and correlation of BEu ancestry with reduced Neanderthal is probably an artefact of gene flow between Africans and West Eurasians. - Still some selection against Neanderthal variants, but after an short relatively sharp shock of negative selection not strong enough to make much difference on the overall % continuing over time (which idea probably was so strongly unexpected and strange that it motivated this paper, I'd guess). I'd guess these groups that contributed to SSA are related to Taforalt. It seems like one way or another they would have to be somewhat more related to Basal Eurasian rich populations / ME populations or the "false" signals of decline in Neanderthal ancestry would not exist comparing WHG/EHG to BEu rich / ME populations who exist at the same time depth (though *not* exclusively related to BEu, as WHG shows the same signal relative to UP European HG). Hittite-like names are attested in Anatolia 2500 BC. And I can guarantee you that the mountains and deserts of southern Anatolia are not just the most idyllic place for pastoralists from the South Russian steppe. So why did they mainly occupy the whole southern part of Anatolia? This would mean that EHG can be a part of the continuum of Caucasian-admixed populations. Ergo influx (or at least first wave) from the south took place much earlier than almost everyone have thought. Of course this automatically explains the occurrence of J Y-DNA in the far north in EHG. MA1 is admixed with Ust-Ishim related population. Published Mycenean have little Steppe ancestry so no Steppe ancestry in supposed Anatolian IE speakers definitely doesn't refute the Kurgan hypothesis. Hittite-like names are attested in Anatolia 2500 BC. Maybe, maybe not. We'll see how that pans out in the long term. And I can guarantee you that the mountains and deserts of southern Anatolia are not just the most idyllic place for pastoralists from the South Russian steppe. So why did they mainly occupy the whole southern part of Anatolia? Probably because that's where the action was for the more ambitious of them. A lot could have changed in that time. You are probably refering to Kroonen in a supplement of Damgaard et al. himself using suppositions made in "In search of Armi" by Archi. It happens I've take a look on these papers. Kroonen said that around 20 names could be IE. In fact, it's 16. On those 16 names, 10 could be considered as really different (others are probably different writings of the same names). On these 10, around half have evident similarities with other names found in the same corpus of tablets, but not consider as IE by Kroonen. Some others are unique, with radicals which were found in Assyrian tablets in relation with Anatolian during the colonies period. I'm still investigating to look if a clear link with IE could be made. But from what I found, Kroonen is extrapoling a lot from a handful of names (which are written in any case by scribes in a different language). But even if we take 2500 as a benchmark, it doesn't change anything in regard of IE in Anatolia. It is postulated that groups of IE settled from the Balkans in the IIId millenium. And Yamnaya were present in Thrace since the late IVth millenium. So, contrary to what wrote Kroonen, Yamnaya are not ruled out at all. @arza, that could well be so if the model works; the models generally assume no geneflow to / from Ust Ishim to use it as a neutral benchmark, and use in estimating Basal Eurasian ancestry. This doesn't really change with this paper, though I guess it does suggests that Neanderthal ancestry, as assessed via the "indirect statistic", relative to time can't be used as an indirect measure of Basal Eurasian ancestry either. Razib Khan and Iosif Lazaridis suggest that as recent estimates of how Basal Eurasian populations may have contributed very low levels to West Eurasians (~25% or ~10%), then there still could a correlation between BEu and lower Neanderthal ancestry. So it should probably need to retest using the robust statistic and a wide range of ancients with estimated BEu, and solidify the estimate. But if it is true that BEu had *some* Neanderthal (even if less than other Eurasians), that pushes BEu origin (post original OoA expansion time) back into the Near East, where we know Neanderthal lived. So that is some evidence lowering probability the Villabruna expansion originated in the Near East, rather than in SE Europe/Anatolia, with some backflow into or shared ancestry with the broader Near East. To make things a bit clearer, Archi and Kroonen are considering the radical -adu/-ada found in the tablets of Ebla in relation to Armi, to the radical- anda found in Anatolia. There are 6 names cited by Kroonen in the list made by Archi, which seem very close, and could be variations of the same name: A-li-lu-wa-da, A-li-wa-da, A-lu-wa-da, A-li-lu-wa-du, A-li-wa-du, A-lu-wa-du. 2 other names could be also identical: Ba-mi-a-du and Ba-wi-a-du. Hence, the real number of potential IE names should be 10 not 20. But, are we able to find names which are composed of similar radicals, but without the -ada final? In the list made by Archi, we've got: A-la-li-a, A-la-lu and A-li-ha-da, but they are not cited by Kroonen as IE. Archi has stated that the combination "la-li" has been found in relation with Mari. Among similarities between other names :La-wu-(u) and La-wa-du, Mu-ri-(a), Mu-li-a and Mu-ri-lu. I'm still trying to find the paper cited as a reference for Anatolian names. But given the limited examples from Kroonen's paper, and the similarities with other names found in Ebla's tablets, I remain unconvinced. "(VB clade from Near East to Europe was Alberto's preferred idea"
But the Middle-Eastern affinity has also been shown in El Miron, who practically lived at the end of the LGM. How on earth do you presume a migration from the Middle-East to Spain during the LGM? It makes no sense at all. You can put a comment on Alberto's blog: Ancient DNA Era (https://adnaera.com/2018/). That guy is a living oracle when it comes to ancient population genetics. "But another point is interesting: a difference should be made between the population of Arslan Tepe, and the population of pastoralists inhabiting the plain. Even if there is no links with IE, could be an explanation on what happened at Kanesh: IE migrants who settled as nomad pastoralist in the plain, economically integrated with the city, and eventually they took power." and if the ore they seek is sitting in some remote, hostile mountains with limited local food supply then what do? Look at Taforalt for evidence of that. Taforalt is very similar to Natufian-but mixed with African. So it is likely that a source population for both began expanding outward from somewhere in the middle east. During the LGM the carrying capacity of Arabian Glacial Refuges was decreased (Rose, 2010) which correlates with a population expansion outward and into Africa dating to ~23,000 years ago (Gandini et al. 2016, Hodgson et al. 2014, Fernandes et al. 2012, Henn et al. 2012). The first introgression of Near Eastern genetics in Western Eurasia is seen in DNA extracted from ~18,700 year old toe bone of a female in the El-Miron Cave found in Cantabria Spain and associated with the Magdalenian culture (Fu et al. 2016; Figure 4). This female was geographically located where the population with Solutrean technology existed and is only 2-400 years past the end of the Solutrean period (Cascalheira and Bicho 2015). Approximately 63% of the El-Miron individual’s genome came from a Paleolithic Hunter Gatherer population dating to ~36,000 year ago (cal. C14 years BP) and the remaining 37% came from a population with deeply ancestral Near Eastern genetics (Fu et al. 2016). The source of the Near Eastern genetics in the El Miron genetic grouping has not been directly assessed, but closely related Near Eastern genetics from a Neolithic individual excavated in Loschbour Germany best matches with contemporary Saudi Arabian populations (Lazaridis et al. 2016). The Near Eastern genetics within El-Miron are modeled to be ancestral to Loschbour with a gap of ~11,000 years (Lazaridis et al. 2014). "Hittite-like names are attested in Anatolia 2500 BC." 1. Who said that it is not Hattic names? The Hittites as we know exactly borrowed Hattic names. 2. The names in Ebla have dates from the 23-24 century BC, at that time was already Troy II, which is supposed to be Hittite (battle axes, European ceramics, carts pulled by bulls). But in that scenario El Miron should have the largest amount of ME affinity. That isn't the case, the Villabruna cluster has. Also, there is no Basal in Ice Age Europe. There is no Y-DNA E in Ice Age Europe and no U6 in post-LGM Europa. About the names, Archi and Kroonen are saying there are similar names during the Assyrian Colonies period in Anatolia. Kroonen infering there were IE names. But you are right: presence of such names in Anatolia, or even among Hittites, is not a proof of the IE nature of the name. Hittites are well-known to have adopted Hattian names, and of people switching from a Hattian name to a Hittite name when adopted. Troy II could not have been Hittite in the XXIII/XXXIVthe centuries BC. Even if some names are related to Hittites at Kanesh in the Assyrian Colonies period, the Old Kingdom was established only in the XVIIth century, perhaps later. From what we know, there is no link between Troy II and its cultural background and IE. Quite the contrary. It is more probably influenced by the East, and an access to Anatolia from Balkans (on the trade route between Balkans and Levant).
" Approximately 63% of the El-Miron individual’s genome came from a Paleolithic Hunter Gatherer population dating to ~36,000 year ago (cal. C14 years BP) and the remaining 37% came from a population with deeply ancestral Near Eastern genetics (Fu et al. 2016)." "The source of the Near Eastern genetics in the El Miron genetic grouping has not been directly assessed, but closely related Near Eastern genetics from a Neolithic individual excavated in Loschbour Germany best matches with contemporary Saudi Arabian populations (Lazaridis et al. 2016)"
What is? What is Neolithic Loschbour?! And then the Neolithic? You have some strange left information. I'm also deeply skeptical that a single small collection of proper names in one set of Syrian records that is allegedly Hittite is solid enough evidence to push back the archaeologically established date of IE in Anatolia by 500 years. As supernord notes, Hattic and Hittite names are quite similar, and as Folker notes, the alleged 20 names may actually be far fewer individuals. El-miron--when looking at PCA is between WHG and Early farmers. So I think it does have more ancient middle eastern ancestry than does Loschbour. Though D test grees with your assessment However, even if it does not so what? The ME DNA may have introgressed up to 400-3000 years earlier. Dilution over time by a small population of ancient ME into a pre-existing Paleolithic population. Or Villabruna (4.7kya younger than El Miron) may represent additional introgression of the ancient ME population or was less diluted. We have no real idea of what the Solutrean cultural associated populations looked like genetically speaking. That region in space time is not currently covered in the genetics records. As far as i can tell NO attested human remains associated the Solutrean culture have ever been found or tested. As far as we know they could be E, U, or even R. It is an unknown as to maternal and paternal background. But El Miron definitely had ancient ME autosomal markers. As to Basal Eurasian for El-miron, again so what? Neandertal heritage could easily have come from the paleolithic population already in the area, masking the BE signal. But even without that it is certain that El-Miron had ancient ME markers--with our without it coming from a BE population directly. What is a desert now wasn't always a desert. Have you read Anabasis? The Halaf culture was located in the northern Levant and southern Turkey during the Chalcolithic, and this was a cattle herding culture. Obviously, War Lord wasn't aware of this. "Kroonen infering there were IE names." No, Kroonen inferring there were only Anatolian names, but not IE. In this names have not any IE words, roots or suffixes. "Troy II could not have been Hittite in the XXIII/XXXIVthe centuries BC." It could have been, Hittite Kingdom is not first place where were (proto-)Hittitic tribe before the Kingdom. "From what we know, there is no link between Troy II and its cultural background and IE. " No, there is those link, and this is known very well. Troy I-II has direct connection with (post)Ezero culture. Troy II has connection to Europe. Its stone battle axes is from Europe. "El-miron--when looking at PCA is between WHG and Early farmers. So I think it does have more ancient middle eastern ancestry than does Loschbour. Though D test grees with your assessment However, even if it does not so what? ..."
PCA is not a formal test. D-statistics do not support your claims. There is no desert in Anatolia, neither today nor in the said eras. Also, the central plateau of Anatolia is flat and partially steppic, so a good place to settle for a Yamnaya-like population. The association between WHG and the Middle East is on the fact ancient MEs are slightly closer to WHG than to earlier Europeans. That isn't strong evidence of a ME origin for WHG. Just like Iranian farmer ancestry in Yamnaya, I think Reich's team is wrong about a migration of WHG from Middle East into Europe. Their final tree model suggests that Ami have 21:79 Tianyuan:preOnge_postPapuan split. Then Jomon have 62:38 Ami:Hoabinhian ancestry. Overall, you could say Ami 21:79 Tianyuan:Onge+Papuan clade, while Jomon 13:87 Tianyuan:Onge+Papuan clade. http://science.sciencemag.org/content/sci/suppl/2018/07/03/361.6397.88.DC1/aat3628_McColl_SM.pdf), and the Jomon also have pretty low shared drift with the Austroasiatic and Austronesian SE Asian farmers. That's quite interesting if we were simply expecting Tianyuan related ancestry to be maximised in the furthest eastern parts of Eastern Asia; instead seems like they may have been more maximised elsewhere, and Onge related people may have ventured quite north and east. Also Davidski, may mean these samples are now available for you to G25 (if the resolution is good enough). About Kroonen, I quote: "This renders it difficult to establish an exact reading of the names and makes it impossible at present to determine the language or languages to which the names from Armi belong with any certainty, except to say that they clearly fall within the Anatolian Indo-European family.Regardless of their exact linguistic background,however,theimplications held by the presence of individuals with identifiable Anatolian Indo-European names in Southern Turkey at this early point in history for the development of Indo-European languages and the Anatolian split are significant". By the way, in his paper, Archi is not locating Armi in Anatolia but in Northern Mesopotamia (not too far from Hajji Firuz). As I said previously, there is a trade route between Balkans and Levant, and Troy was an access to Anatolia from the Balkans, and Balkans exported goods in Anatolia. There are culturals links between Balkans and Troy, but it doesn't mean population was the same. But in any case, the real question is about Ezero: is it an IE culture or not? As the answer is highly debated, I will only give mine: despite having Steppe influence, Ezero was not IE. I know that others will disagree, as you probably will. About Hittites: Hittites is the name of the IE which took conquered Hatti. Hittite as a language has been heavely influenced by Hattic, and Hittites designed themselves as the people from Kanesh. So, no, it's impossible to use the name "Hittites" about any IE population supposed to have inhabited Troy in the XXIIIth and XIVth centuries (which remain to be proved). Some are postulating that Luwians were pastoralists living in the Konya Steppe and expanded from there in the IId millenium. I think i already said that Dstats showed this??? It was in the Reich paper. Does not mean aME ancestry us not present in El Miron. The reich paper shows this. Be careful on the samples you use in thus comparison. Some indications that whg ancestry moved in the near east during the mesolithic or early neolithic that can skew the formal tests. "As to Basal Eurasian for El-miron, again so what?" If a BEu and ME carrying population admixed in Europe in can't have left a noticeable ME affinity and no BEu whatsoever. Especially if your theory needs another impulse to explain the extra affinity in Villabruna. So it basically falsifies your theory. "Hittites is the name of the IE which took conquered Hatti. Hittite as a language has been heavely influenced by Hattic, and Hittites designed themselves as the people from Kanesh. So, no, it's impossible to use the name "Hittites" about any IE population supposed to have inhabited Troy in the XXIIIth and XIVth"
It does not matter from whom the name of the Hittite originated, it is the only scientific name for this people and it is used everywhere when it comes to this people and its origin regardless of time and place. Therefore, it is a mistake to reject the use of the Hittites for the name of the Hittites wherever they are. Kanesh is the name of the city, and so the Hittites did not call themselves, so they called their language sometimes (kaneshimnili). "For various reasons, I am not convinced that Luwian was spoke in Western Antolia before 2000BC." In Western Anatolia they spoke Luwiс and it is strictly proved. The only one language that was recorded in Troy VII is Luwic, so he was there for sure, and the rest of the fiction does not care. Troy VI and Troy II are completely different cities that have nothing in common, there lived a completely different people with different traditions. In Troy II (from~2600-2500) people lived worship a stone battle axe riding on the carts of the bulls rushed by dogs. In Troy VI (from~1900-1800) people were breeding horses and building a city for movement in the carts. Between them is a dark time with the decline of this city. Both El miron and WHG(including villabruna) demonstrate some affinity with aME populations, this is a fact. Bidirectional gene flow is definitely seen between WHG and aME. WHG do not show appreciable amounts of BE, but still have this affinity. Again this is a fact. Current 2018 abstracts indicate this flow happened prior to 15k years ago. So again a fact. How the geneflow ended up iberia by 19kya ago is not certain. The el miron cluster-coincident with the Magdalenian culture Ranges from iberia across europe. The ME affinity is variable in this group but is highest in Iberia. This is a fact. The variability in ME ancestry indicates that the source population had a structure, or had recent introgression of ME ancestry that was not in equilibrium in the population. Magdelinian culture appears to have spread from iberia to the east. Carrying the genetics across europe that was largely replaced around 140000 kya. The unknown here is how did the ME ancestry end up in both the el miron and villabruna culture. The reich paper models the source of this ancestry being the same. It could have come via southern europe during the ice age-difficult in glacial conditions of europe but possible. Or it could have come via north africa. We do have genetic evidence of aME genetics expanding across North africa during the LGM. This is a fact. So the aME ancestry could have come via that route. Or via island hopping across the med. How it got their is not firmly known. But it did. I think it is likely that north africa route combined with use of boats in the med got the ancestry into iberia. "WHG do not show appreciable amounts of BE, but still have this affinity. Again this is a fact. "We do have genetic evidence of aME genetics expanding across North africa during the LGM"
Because if it was WHG would show appreciable amounts of BE. No, it's completely inappropriate to use "Hittites" for Troy II, as Hittites themselves didn't existed at the time. Nobody serious is using the name "Hittites" before the IId millenium and their first appearance at Kanesh. Given the influence of Hattians on Hittites, Hittites came to existence in Hattian territory or in close vicinity. So probably at Kanesh or around. No way it could be near Troy, where there is no trace of Hattian. Troy VII? Are you joking? I said "before 2000BC", not between 1350 and 950BC!! Some recent papers have concluded to an intrusive presence of Luwian in Arzawa in the first part of the IId millenium (given the existence of Arzawa is attested only in the second half of the IId millenium). Nobody knows the languages spoken in Western Anatolia before. That IE were spoken there already before 2000BC is only a supposition based on the later diversity of IE languages (all in the Luwic branch, and often barrely known) found in this region. But extrapolating a situation in the EBA from one known in the IA is something to be taken with a gain of salt. What you write is simply not true, even the links you give are false, just a name call, even though there is nothing supporting your words not written. No, that is absolutely no proximity of Paleolithic European samples did not show neither North Africa nor the Middle East, which can clearly be seen in Natufian & Levant_N & Fregel et al. "No, it's completely inappropriate to use "Hittites" for Troy II, as Hittites themselves didn't existed at the time. Nobody serious is using the name "Hittites" before the IId millenium and their first appearance at Kanesh." Do not invent, but that is the name of the Hittites and used for any discussion everywhere and always, wherever they lived and when they lived Hittites they use the name of the Hittite or Hittite-Luwians. "Given the influence of Hattians on Hittites, Hittites came to existence in Hattian territory or in close vicinity. So probably at Kanesh or around. No way it could be near Troy, where there is no trace of Hattian." Do not invent, no influence of the Hutts or the Hatti language on the Hittites was not before the arrival of the Hittites in the country of the Hittites, it is known exactly and is an absolute fact. The influence of the Hatti on the Hittites began only with the conquest of the distant Hittites of the Kingdom of the Hittites. You're the one who makes fun of you. There is no evidence only of non-Luwian languages in Western Anatolia, but is for the Luwian languages. Invented something about Arzawa, when the entire North-Western Anatolia from Troy held the Libyan state Assuwa. Luwic place names are widely attested in Greece, where the Luwians were before coming to Anatolia. Not really sure what you are arguing here? Are you stating that whg and el miron have no gene flow-bidiectional or unidirectional, with populations carrying near eastern genetics? If so please relook at the data because that would be a false position. I think you need to reread "the genetic history of ice age europe"
Go to extended table 2. A hint...it is at the very end. Since Hittite is seen by some as a Sister rather than a Daughter Language of Proto-Indo-European, and if this is true could it be that Proto-Hittites were the ones responsible for the occupation of the Northwestern Caucasus Fortresses by Steppe people and a gradual migration Southeastwards into the Shirvan Steppe and the Mugan plain ? Could it be that this is from where the Proto-Hittites spread Westwards into Anatolia maybe with/as part(Subgroup) of Kura-Araxes who followed the Main expansion or on the heals of Kura-Araxes ? The spread of Early Indo-Europeans seems to be linked to latitude. They seem not to have strayed very far outside these latitudes during the Earlier expansion phases. Maybe Indo-Europeans early on knew that there are a connection between diseases and areas with different climates and ecosystems ? What if the relative constant percentage of Neanderthal in Eurasians since 45 000 years ago are a remnant of the Common Ancestor between Neanderthal and Modern Humans ?